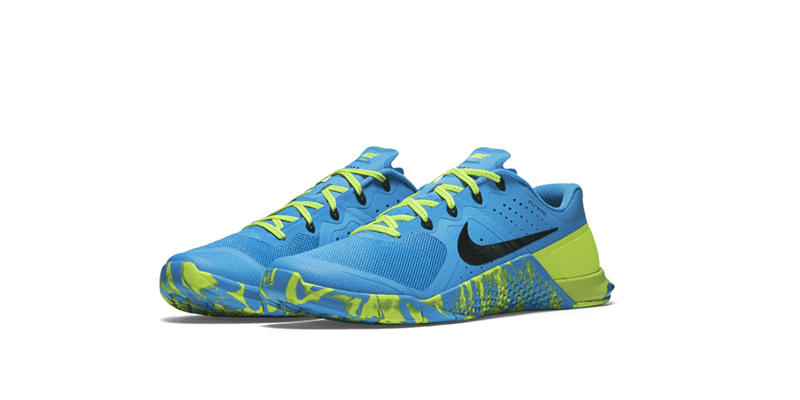 The Metcon 2 Amp is one of the most popular functional training shoes in the world. With its minimal, stylish aesthetic and tough, durable and intelligent features, it’s easy to see why. The Women’s Nike Metcon 2 Amp provides stability on lifts, optimal comfort and fit for longer distance runs, durability in WODs and flexibility on sprints. It is also lightweight and effective for everyday use, and provides all of these functional features in distinctive and bold Nike style. Let’s break down these different aspects of the training shoe, to find out exactly how it will help you to become a better athlete. We all know the importance of a solid heel for generating power during lifting, and the Women’s Metcon 2 Amp does not disappoint. They provide a strong base without feeling clunky or heavy. These shoes also offer good support for the arches of the feet, giving a grounded and solid feel for all weightlifting movements. This system wraps your feet and provides a strong yet lightweight support structure for each foot. Like suspension cables on a bridge, this will keep your feet where they need to be, and makes the Metcon 2 Amp even more responsive to the way that you move, jump, climb, lift and run. This feature is especially useful for exercises such as Box Jumps and Bar Facing Burpees, where you are usually faced with high numbers of reps over longer periods of time. When fatigue sets in is normally the point where form can start to suffer, but the grip and flexibility of the forefoot keeps you covered and helps to avoid slips for tired legs (every athlete knows what this feels like when you misjudge a box jump!). This also augments quick dynamic movements and changes of direction: again think Bar Facing Burpees for a good example. With exercises such as suicide sprints or trail runs, which often require quick and limber footwork, the Metcon 2 Amp will give you the confidence to concentrate fully on the moment and perform to the best of your abilities. For running on the track, pavement or road, the Nike Metcon 2 Amp remains comfortable over longer distances. The flywire technology is perhaps most useful here, allowing you to maintain a stable foot position without feeling too constricted. The shoe is exceptionally lightweight, which is very useful if you still have 10 km of pavement ahead of you to get through! With workouts that involve high repetitions of lifts such as Deadlifts, Overhead Squats or thrusters, the combination of the max-traction forefoot and the sturdy, high density rubber heel becomes highly effective. Splaying your toes can really help you grip and generate a much more stable base to lift from. We all understand how important it is to use the heel of the foot to control and balance weight (think about your Deadlift for example), but also driving with the ball of the foot and splaying the toes as well gives a much better push to generate force. The trainer provides all you need to put this technique into practice. Rope climbs can shred shoes, so it’s a good test of function as to whether a training shoe will help or hinder your progress in this exercise. If you look closely at the midsole you will notice the heavily textured surface that Nike has implemented. Whether you prefer the secure S wrap or the fast J wrap to scale the ropes in your Box, this added texture and over the large midsole surface area will keep you gripped and in control. The tongue is thin and stylish, allowing for a far reaching range of motion for your ankles. With the support from the flywire technology your foot will remain planted and stable. This works effectively for pistols, where your movement is being tested to its very limits. When combined with the low heel, you have a shoe that provides exceptional stability for everything from Squats to Box Jumps. Nike has once again used a minimalist style and built the Metcon 2 Amp using clean and simple forms that complement each other perfectly. The design elements accentuate each functional feature of the shoe itself. 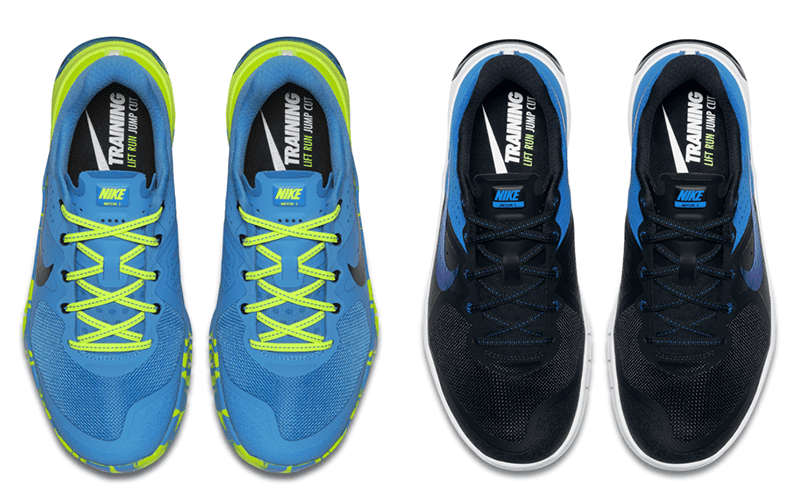 Look at the sweeping dynamic line that divides the Metcon and gives it its distinctive aesthetic. These follow the contour of the midsole rubber covering, and the bold, distinctive silhouette will will have you smashing WODs in style. 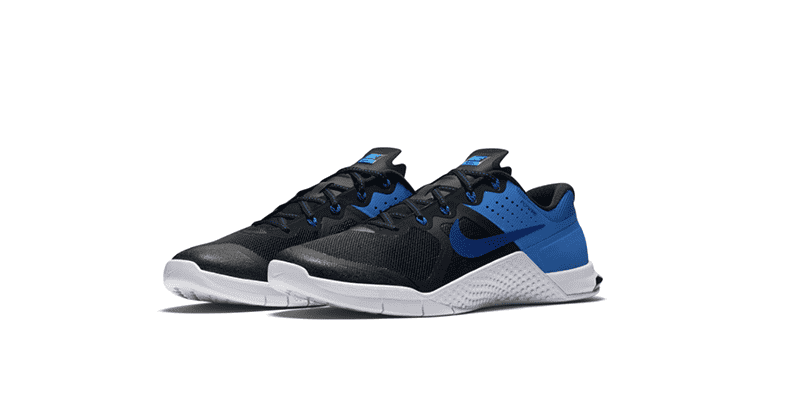 You can also check out the Men’s Metcon 2 Amp version as well. 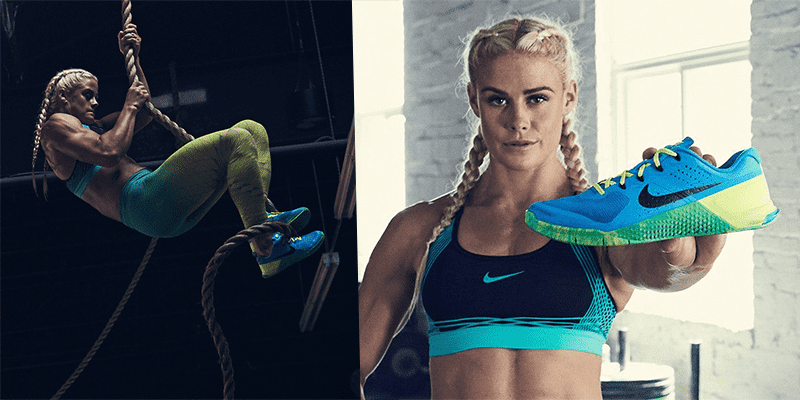 If you want to really individualise your new pair of Metcon 2 Amps, then use Nike’s customisation feature and create the colourway that matches you best. Maybe you are a Dottir in the making, using ice cold blues and crisp clean white colours inspired by the Icelandic Scenery to design your kicks? Or perhaps a flag inspired red, white and blue colour scheme to represent your US, UK or French roots? Whatever your taste, you can be sure that the Women’s Nike Metcon 2 Amp will provide the functionality and features you need to destroy workouts and PR’s, and look stylish in the Box and on the competition floor.